Sparkling enthusiasts will get a once in a lifetime experience at the winery to be a sparkling winemaker for the day. Guests will spend one-on-one time with the winemakers in a behind the scenes tour of how sparkling wine is produced. Guests will have the opportunity to disgorge (finish) their own bottle of sparkling wine with the help of the winemaking team. Concluding the tour and personal disgorging session, guests will finish this exclusive event with a seated tasting of four premium sparkling wines that were selected by the winemaking team. 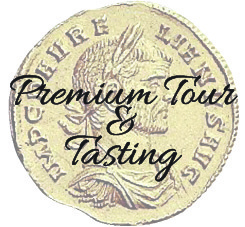 Questions are more than welcome on this tour and tasting, as this will be a one of a kind educational experience for our guests. Limited to 16 seats, and the events will only be once a month. Don't miss out on this opportunity! Bubble Club Members get 10% off tour tickets! 6/16/2018 – We have paid for the Aug. 18 event. What time is it? This event begins at 11AM and lasts until about 2PM. Response From Treveri Cellars: The event starts at 11 and goes to around 2. Your order confirmation is your ticket! You will not receive any additional tickets via mail or email. The price of this product varies with the quantity of products ordered in the category "Events"